One of the inherent positives for those gas guzzling vehicles is the sound of their internal combustion engine. This alone can often act as a warning signal for pedestrians and cyclists to get out of the way. In the wake of some hefty debate about safety issues related to the silence of hybrid and electric vehicles, President Obama has just signed legislation mandating that all vehicles on the road must make some noise. “The blind, like all pedestrians, must be able to travel to work, to school, to church, and to other places in our communities, and we must be able to hear vehicles in order to do so,” said Dr. Marc Maurer, president of the National Federation of the Blind. “This law, which is the result of collaboration among blind Americans, automobile manufacturers, and legislators, will benefit all pedestrians for generations to come as new vehicle technologies become more prevalent,” he added. The legislation is lovingly titled the Pedestrian Safety Enhancement Act of 2009 and was spearheaded by Senator John Kerry of Massachusetts. It was helped along by members of The National Federation for the Blind, also backed by the Association of International Automobile Manufacturers and the Alliance of Automobile Manufacturers. Already, the Nissan Leaf makes a sound to warn pedestrians when it is traveling at slow speeds, and the Chevy Volt has a driver operated chirping sound to warn pedestrians. Now that the Pedestrian Safety Enhancement Act has been signed into law, the Secretary of Transportation is required to research and report to Congress on how much sound a car must generate in order to make it safe. Only time will tell if chirping will do the trick. Inherent Positives? Tell that to an owner of an expensive auto who paid to get the quietest car possible. This is the stupidest law I have seen in years. Totally misses the fact that some luxury ICE vehicles are totally silent at slow speeds, doesn't it? Let's include those by specifying a particular loudness level, below which _any_ car is required to make sounds. This is simply attacking a class of vehicles (electric powered) as "too quiet". Why not pick on Rolls Royce for being "too quiet"? What next? Suppose someone invents totally noiseless tires, will the law be expanded to include speeds above 18MPH then? This whole thing smacks of Big Oil, I'd like to see where the major funding for the bill came from... As a cyclist myself, I can tell you that the first sound I hear when a car is approaching from the rear is tire noise, never engine noise. this law by the same ineffective congress that spends our money too freely!! It would be great to be able to reduce the noise on the highways, especially in the inner city. Perhaps it can be a function of speed, with speeds over 50 or 55 mph getting noise reductions. In my eyes, other roads do require some vehicular noise for safety. 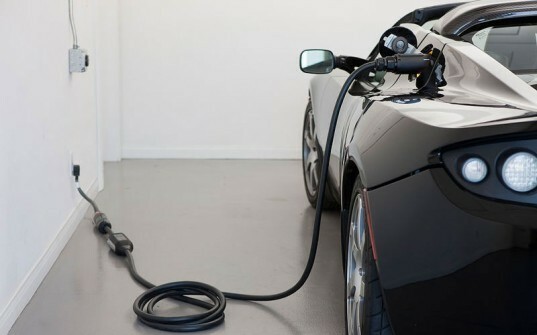 Electric cars are a breed of their own, admittedly. Making them "chirp" for ped safety is good, but loud or soft won't mean a thing to the hearing-impaired, same as conventional cars. And besides, it kind of defeats the "inherent positive" of EVs, which is that they are not noise-pollutants. Cyclist here - being able to hear cars is very important to my safety. Sound can tell me if there's a car in a blind driveway about to pull out, it can tell me what traffic behind me is doing, it can tell me if the bus at a stop is getting ready to pull out; hearing a car is just as important to my safety as being able to see a car. Stupid. Michaeljanzen is right. Or how about we all promise to drag our aluminum cans behind the car. Which BTW: What kind of car is shown in the top pic? LMAO... can't we just all promise to listen to our radios really really loud? 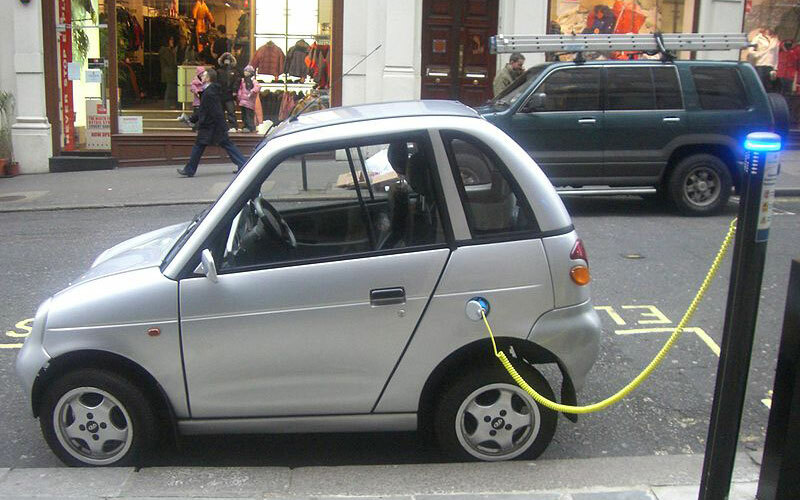 Obama passes law saying all electric cars must make noise.